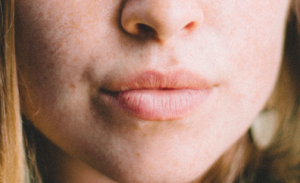 In the article below we outline everything you need to know if you’re thinking about getting your lips enhanced with Dermal Fillers. Research the clinic thoroughly, although discounts and offers that save you money can be attractive, when it comes to your body we believe that you shouldn’t short change yourself. A well-trained and experienced practitioner will be able to ensure that the results are as subtle and natural looking as possible working with your proportions. The most common side effects are bruising, redness and tenderness but there are also important vessels in this area that can be effected by the treatment if it is not carried out properly. It’s very important that the practitioner has a thorough understanding of the anatomy and therefore knows how to avoid permanent scarring and disfigurement. It’s important to understand this is an invasive procedure with risks, and although some media channels may portray it as a treatment that can be completed in your lunch break, any prospective patient should consider the possible serious risks before making a final decision. Consider the long term cost implications, fillers need to be maintained on average every 4-6 months, so make sure that is affordable for you if it’s something you’re seriously considering. There’s very little downtime. The actual procedure itself takes about 30-60 minutes and after treatment you can resume your day-to-day routine. However, especially if it’s your first treatment and you’re unsure how your body will respond, it’s best to give yourself some recovery time in case of a reaction or bruising. Ten days leading up to your appointment should avoid all blood thinners such as: asprin, anti-inflammatories, fish oil and vitamin E. This is because blood thinners can increase your chances of bruising and bleeding. Twenty four hours before your appointment it is also advised to avoid alcohol or caffeine as this will help to limit swelling. We recommend Arnica tablets, a homeopathic remedy that helps to reduce bruising, although if you take blood thinners or have had blood clots in the past, please seek further advice from the Doctor. If you have a history of cold sores, we recommend that you take cold sore prevention medication two days before the procedure as injections in the lip area can trigger a cold sore. It is not possible to carry out this treatment if the client has an active cold sore. Start gradually, if you’re new to lip fillers, start with a minimal amount of volume, this will allow you to build up volume more gradually over time if requires and won’t leave you with over-filled lips. A small amount of bruising and bleeding at the site of injection is totally normal and expected, bruises should fade after five to seven days after treatment. Occasionally Fillers can cause bumps and lumps beneath the surface of the skin. This can be corrected, so if it’s something you experience get in touch with your practitioner. Results are quite quick to show through and in most cases you’ll see increased volume straight away. However some of this can be down to swelling from the injection so make sure you allow 24-48 hours to go down before evaluating the full effects. We use hyaluronic acid fillers, these are not permanent, which means they break down over time and must be topped up to maintain them. This also means that they can be corrected by being dissolved with the injection of a special enzyme if you are not pleased with your results. Following treatment you should not apply any pressure or make-up to the area for 12 hours. You should also steer clear of any activities that increase blood flow to your head for 24 hours. Prolonged exposure to UV light should be avoided for two weeks following treatment. For further information or to make a booking for a consultation please give us a call on 01225 700072.